We are proud to offer OPEN WATER SCUBA CLASSES through world SCUBA certification leader SCUBA SCHOOLS INTERNATIONAL (SSI ). It’s the experience of a lifetime! There is nothing like it. Whether you want to swim with colorful fish, explore century old wrecks, or observe rays up close, scuba diving has it all. There is no limit to the possibilities. Not all training is the same. 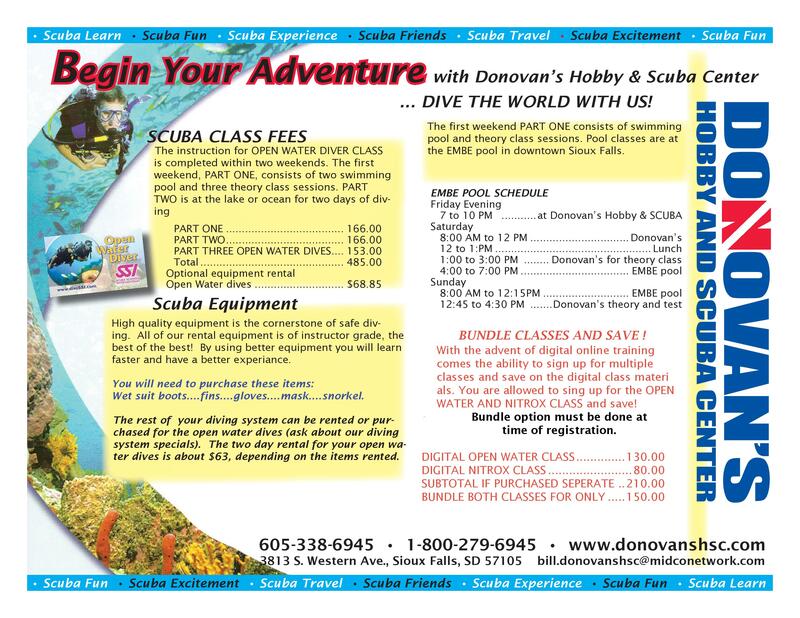 Make sure the facility you choose is a certified Scuba Schools International dive center. It is the only way to guarantee high quality and the ultimate training experience. Established in 1970, Scuba Schools International provides high quality, innovative training methods and materials to select scuba-training facilities worldwide. To date, SSI has 31 Regional Offices, is represented in 110 countries with 2,401 International locations and has materials printed in 24 languages. SSI Certification is well respected around the globe so you can be confident that your diving credentials will be recognized wherever you want to dive. 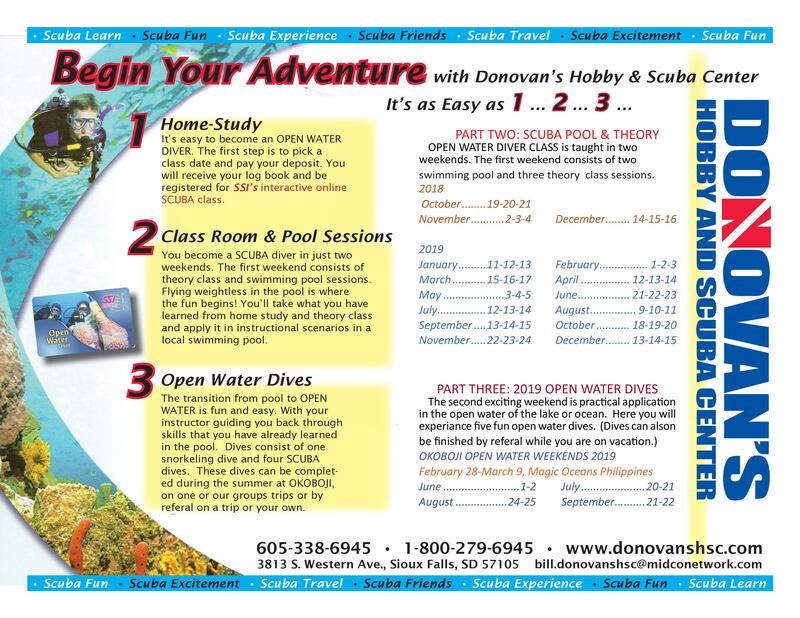 Your OPEN WATER SCUBA class revolves around the new SSI, online study system. SSI's new On-line Training program means that you can start studying for class right now. Click on the Donovan's Logo to open the registration form. You must fill this out prior to starting class. Click on the diveSSI icon to register for your On-Line SSI Training Program.